All my prints are now produced on fine art papers to the highest standards. I use Hahnemuhle & Fotospeed papers, the actual paper used will be selected to suit the image. 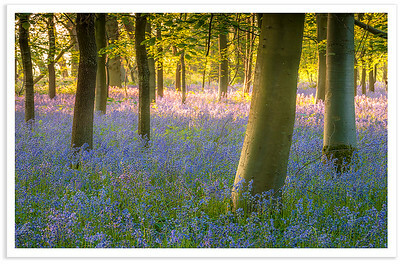 As well as prints I can also offer mounted prints, framed prints, and canvas. By default, all prints will come with a small white border. I can supply a print with no borders at a small additional cost as the paper size must be bigger. 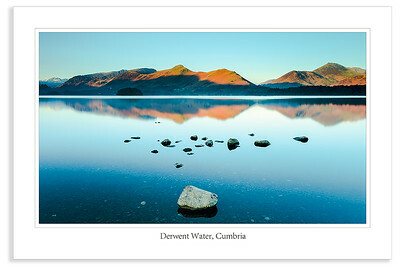 Alternativley you can opt for a gallery print which has a large white border with the location or title of the image. If you would prefer a gallery print, please contact me and I can create one for you at no extra charge. To purchase a print or other item please use my contact form. Just let me know the image title and size you require and I will contact you as soon as I can. All mounts are all individually cut by hand with a range of colour choices available. Frames are custom made to order by hand and are available in a range of styles. All prints are professionally mounted and then fully sealed into the frame. All frames will arrive ready to hang. A range of frame colours are available, including matt black, light oak, white or silver. Frames can also be specified with anti-reflective art glass. All canvas prints are printed on high quality polycotton and then laminated. This protects the print from scratches and can be wiped clean. Below are some of my popular print sizes. Other sizes are available on request.